Some people can find comfort in smoking. I know that it can give some kind of stress relief but man, it is to harmful for your teeth. You cannot start to imagine how badly you can ruin your smile by taking this habit. It does not matter how often you do smoke, little or much, your teeth will suffer a lot. And not just your teeth, other health concerns will pop up in the long run. 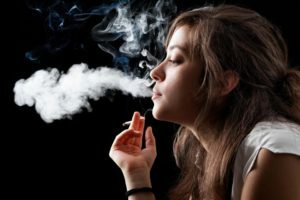 So just as a warning and to try to help you get the smile of your dream, I will list a list of reason you should stop smoking. I know it can very hard and difficult to stop smoking, but as a former smoker myself, I know the struggle. 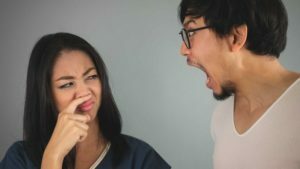 Trust me, you don’t want to turn your teeth into a dumpster just because a nasty habit. Having a nice beautiful smile is really important to feel good and healthy. This is one of the most important reasons why you should stop smoking cigarettes. Because of the chemicals included in each one, it will give you a fault breath. And it is not as simple as just brushing your teeth after smoking, over the course of time, it will impregnate into your teeth and gums. This means that it does not matter how much you use atomizers for breaths and mouthwash, the smells will not leave. This is the easiest one to understand. Smoking will damage your teeth. It will start by turning them yellow and some people think they can bypass it with whitening. The truth is that your teeth will slowly start to wear down and rot. Not even dental hygiene or dentist will save your teeth from this destiny. Smoking leads to tooth’s loss. If you care about your teeth you should quit smoking as soon as possible. It is really unattractive a set of teeth all rotten and smelly. You can get dental work like dentures and implants, sure, but the process can be too long and expensive for many people. Unless you come to Dental Solutions in Los Algodones, we have some nice deals going on. But that is not it, smoking also lead to other health concerns that can put your life in danger. Many patients fail to see that smoking can lead to death even. Everyone can feel invincible sometimes, on top of the world. At the end of the day, we are all humans and can suffer or experience some bad in or lives. It is really hearthbreaking that the reason our teeth look bad is our own fault. Smoking affects your throat and lungs. Meaning that you can develop respiratory complications, not even mentioning cancer. And cancer in a lot of places, it can lead to oral cancer, lung cancer, throat cancer. If you put pros and cons of smoking in a balance, the cons will always win by far. The reason I stop smoking is because of my family, I want to be around for a long time. One of my dearest aunts died from lung cancer after smoking almost all of her life. This said, if you evaluate the less of your concerns with smoking, there is a lot to lose. Even gum diseases like gingivitis and yellow teeth sounds really bad to start with and as I said it can be expensive to fix. So I suggest to start considering to quit smoking todays and save your teeth of a terrible end.